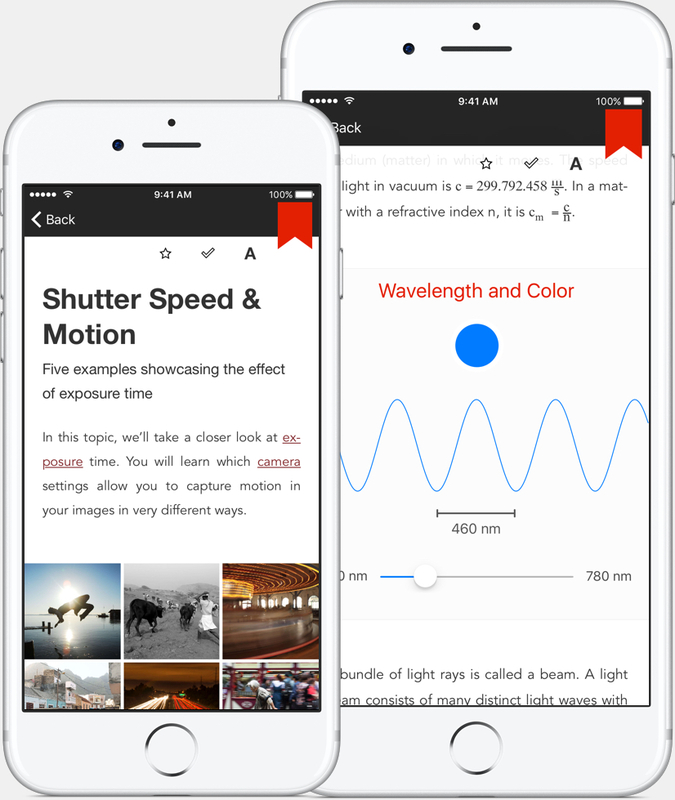 Photography guide on iPhone & iPad. Today, almost everyone has access to a camera, but most users only leverage a fraction of its potential. Our goal is to change that. The Photo Guide starts off with the basics of photography and goes into great detail to help you improve your skills and finally take better photos. “For Beginners” is a dedicated category for everyone just getting started with photography and doesn’t require any prior knowledge about photography. It sets the foundation to explore the rest of the Photo Guide. You’re already a seasoned photography enthusiast? Fantastic! The Photo Guide offers detailed insights behind the scenes and offers inspiration to further shape and improve your personal style of photography. The interactive content makes it easy and fun to learn about more complex topics. The powerful built-in search provides suggestions as you type, making it easy to quickly find what you’re looking for. The Photo Guide contains almost 300 topics, more than 1,000 photos, over 300 terms in the glossary and over 200 quiz questions. Have fun exploring! If there are parts of the Photo Guide that you find hard to understand, or you find a typo, just select the text and report an issue to us. We’re looking forward to your feedback! Check out our video to get an impression why you’ll love the Photo Guide! We love photography, and what about you? We dedicated 3 years of hard work to version 4 of the Photo Guide. Enjoy! The entire content of the app is offline available. So no matter if you’re currently taking a plane or travel to places without mobile data, the Photo Guide got you covered. 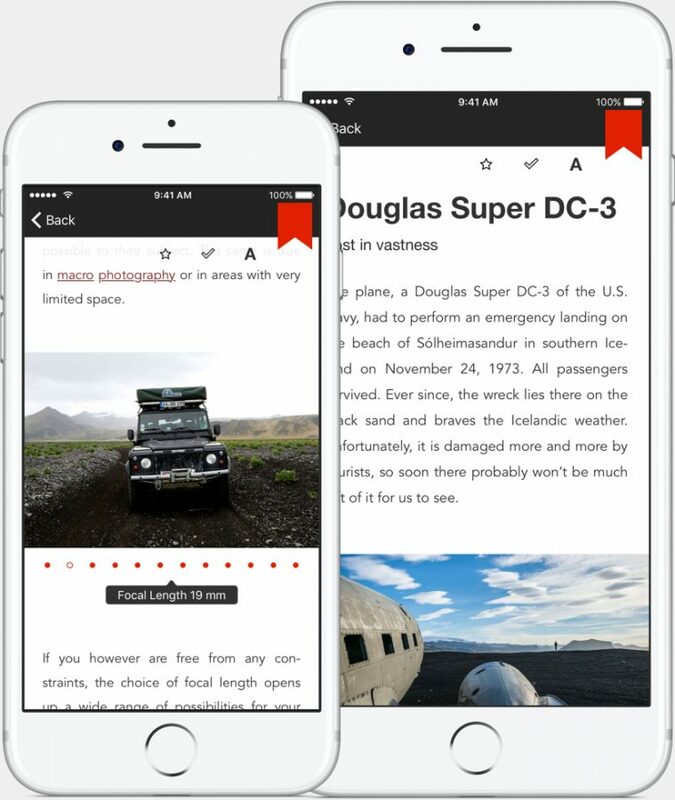 Optimized for all screen sizes and device types. 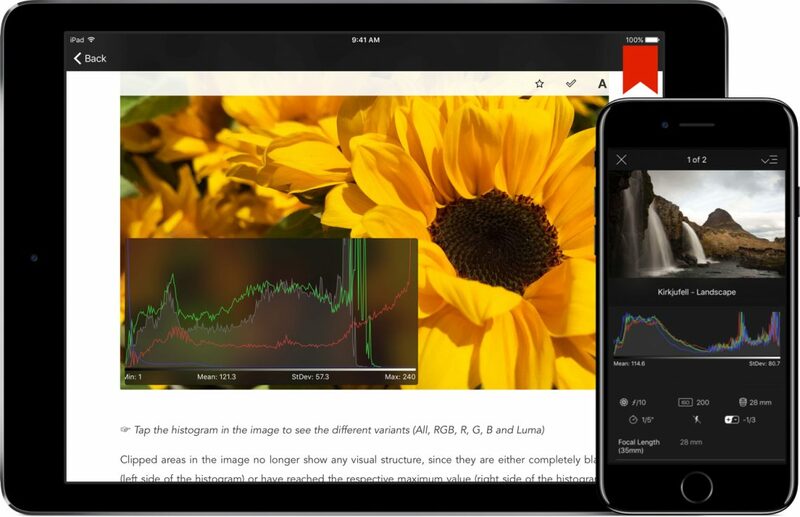 Favorites, read topics and your quiz progress are kept in sync across all your devices. The world of photography is endless and there are areas the Photo Guide doesn’t cover yet. 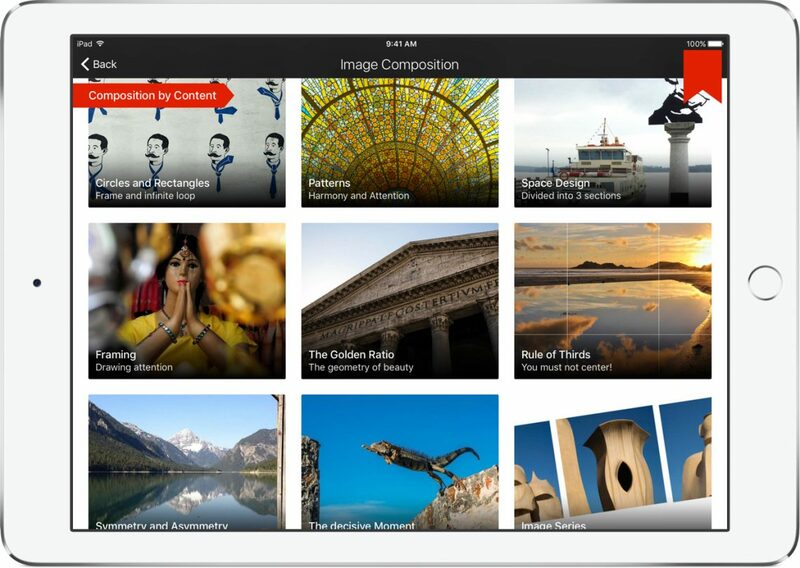 Upcoming updates will extend the Photo Guide with new content and features. The content is available in English and in German. You can switch languages conveniently from inside the app’s info screen. 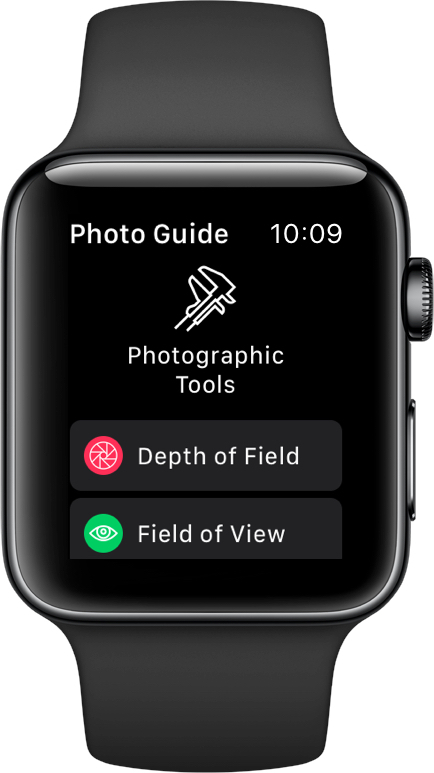 The Photo Guide includes an Apple Watch app, allowing you to calculate various parameters relevant for image composition right on your wrist. You can calculate the depth-of-field for arbitrary combinations of aperture, focal length, focussing distance and sensor size. It also allows you to calculate the field-of-view, crop factor, and exposure parameters. 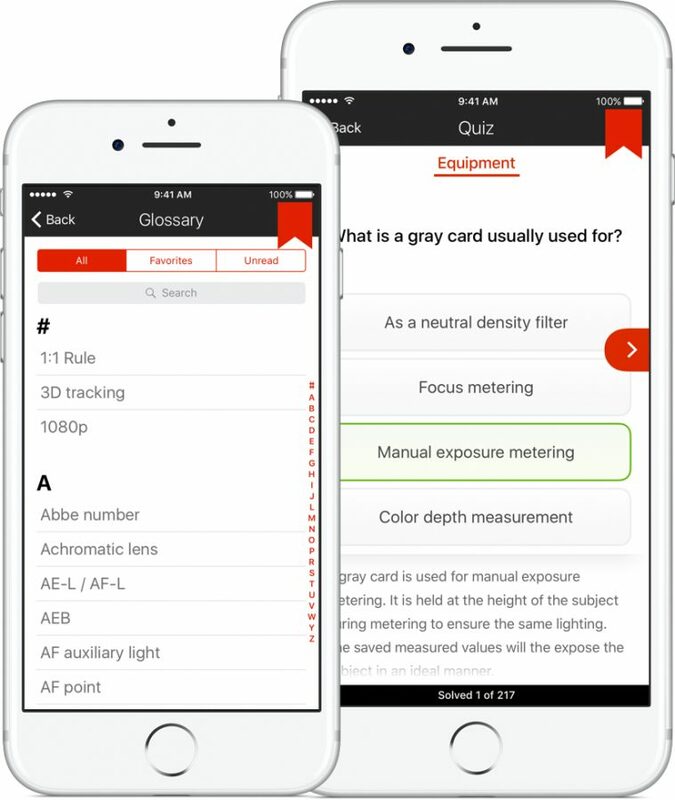 Verify and extend your knowledge using the built-in interactive quiz with hundreds of questions. And if you’re not quite sure what certain technical terms means, the glossary got you covered. "The Photo Guide helps you learn photography through reading short articles. Each one is expertly written, providing you with the information you need to know." "I don't hesitate to recommend The Photo Guide to digital photographers. [...] The photo examples are excellent, and the text is concise and clear." To make learning with the Photo Guide as effective and fun as possible, it contains over 1,000 photos and illustrations alongside the comprehensive descriptions. 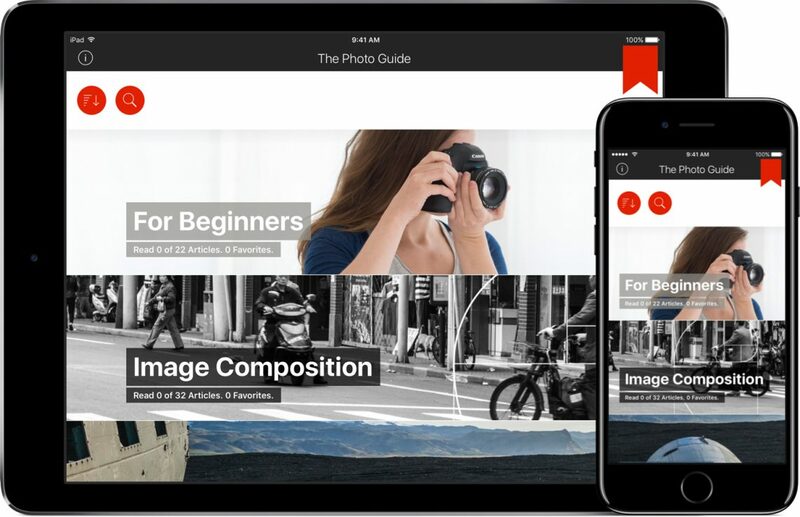 To get the most out of each photo and since this app is about photography, the Photo Guide allows you to look at the histogram, Exif and location information of most of the photos. This allows you to understand which settings were chosen to capture a given photo.